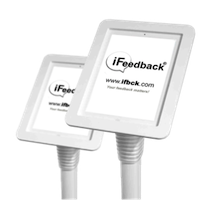 Create an eye-catcher at fairs or business events using fixed surveys on tablet PCs or interactive apps. We offer iPads with high quality pedestals or universal attachments for every occasion purpose. Every iPad terminal is delivered with an internet connection and pre-configured for a smooth plug & play installation. You have the choice if you want to implement existing apps or if you want us to develop your individual solution. 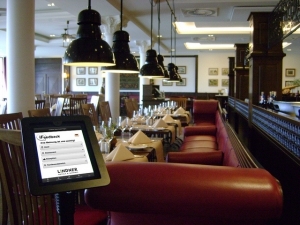 The iPad-terminals are furthermore remote serviced by our server and delivered with an anti-theft device. 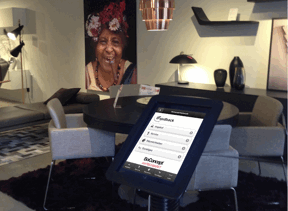 Our attractive price-models allow you to rent or buy iPad-terminals short term or for a longer period. 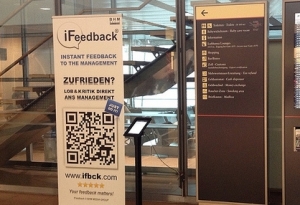 We offer different alternatives for business events, fairs, and mobile surveys. Every terminal is pre-configured and delivered with insurance Europe-wide, furthermore a return etiquette is provided. Benefit from an easy plug & play installation and make use of our support-services if needed. We offer a complete service starting at the configuration up to the delivery. Do you need a special solution for an already bought hardware or want to benefit from our complete service? Our engineers are always available for the implementation of software on external devices and the professional assembling of individual solutions. We configure your terminals, deliver it to you and professionally set up the terminals at your business locations. In case of a need of service, iPad-terminals are exchanged in our 24-hours service and put back in operation.